The front door of your house says a lot about you and your home. Before you buy a new door or decorate your existing door, consider bringing some elements of Feng Shui into the space. Feng Shui is an ancient form of decorating that focuses on increasing harmony between the elements. 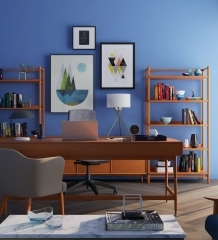 By using a few simple tips and tricks, you can give your home a new look. The first step involves painting the door. Red and green are the two most popular colors because red symbolizes abundance and prosperity, while green represents money and nature. Look for a deep and vibrant shade such as jade green or ruby red, which brightens the front of your home. 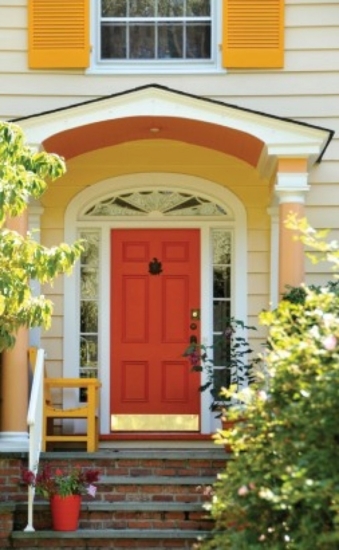 A red door can even make your home feel more welcoming and inviting, which is important if you hope to sell it in the near future. The size of your door is just as important as its color. Feng Shui places a high level of importance on proportion. If your door is too small, it might make the inside of your house feel cluttered, uncomfortable and even upsetting. Feng Shui proponents believe that doors that are too small can stop new opportunities and advantages from reaching you and your family. An easy way to get a handle on your door size is to stand on the sidewalk or in the street. Examine your door carefully, making sure that it looks proportionate to the rest of the building. 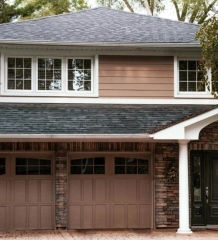 Your front door includes more than just the door itself. You should apply the tenants of Feng Shui to the area in front of and beside your door. Adding sidelights or a small window over the door can help the inside of your house because it brings more light to the space. The windows can also increase positive energy and bring new opportunities into your home. When it comes to decorations, less is more. The more cluttered your space is, the more chaotic and hectic you feel. Try moving any decorations you currently have away from the door and rearranging the pieces. Plants placed on one or both sides of the front door can increase harmony both inside and outside your home. Other decorations that you might add to the space around the front door include soft white lights, a small fountain, or a protective statue. One of the most important things that you can do to Feng Shui your front door is clean the path leading to the door. Your children’s toys, lawn tools and any other items you keep outside can make visitors feel uncomfortable and unwelcome. To increase the harmony in your home, consider adding a doorbell and making sure that your door opens towards your house, which lets the energies know that your home is welcoming. Peter Wendt is an interior designer residing in the Austin TX area. He has searched far and wide for beautiful home improvement products. If you are looking for a beautiful home entrance, Peter recommends taking a look at this front door.